By Wesley Fenlon on May 10, 2012 at 8 a.m. Mechanical watches are so complex, and so expensive, that buying one requires a crash course in technology, collector culture and important brands. Digital watches are a convenience made all but redundant by the cellular phone. They're cheap, durable, and easy to read, and in most cases their plastic bodies and digital displays emphasize functionality over style. In an era of omnipresent smartphones, watches are more about fashion than ever, be it the abstractness of a Tokyoflash to the traditional face of an analog Rolex. They also might be the most complicated fashion accessories ever made. "Mechanical watches are so brilliantly unnecessary," writes futurist author William Gibson. "Any Swatch or Casio keeps better time, and high-end contemporary Swiss watches are priced like small cars. But mechanical watches partake of what my friend John Clute calls the Tamagotchi Gesture. They're pointless in a peculiarly needful way; they're comforting precisely because they require tending." A cheap analog watch costs only 10 or 20 bucks. An expensive one can cost $6,000. Or even $600,000, when you throw in diamonds and gold. And that's hardly the ceiling. Why do they cost so much? There's a world of difference between a quartz watch and a mechanical watch--a world filled with jewels, gears, and words like "Rattrapante" and "ebauche" that you've probably never heard before. Mechanical watches are meticulously crafted to keep time, unlike quartz watches that leech their life force from a battery. They must be wound by hand or powered through the movement of the human body. They are, as Gibson says, among the very finest fossils of the pre-digital age. A very simple quartz watch movement. Photo credit: Flickr user Leo Reynolds via Creative Commons. If you own a wristwatch and paid less than $500 for it, it's likely a quartz watch. 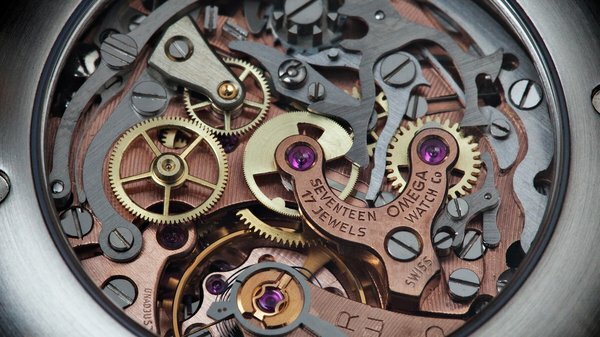 Understanding how complicated mechanical watches are--and why studying them is dangerously likely to turn into a passion for horology--begins with understanding how relatively simple quartz watches are. At least, by comparison with mechanical ones. Quartz watches have only been around since the 1970s. Quartz technology debuted in watches with LED screens, and by the end of the 1980s they powered both digital and analog watches, kitchen timers, wall clocks--you name it. The dramatic rise of quartz technology, also called the Quartz crisis or revolution, nearly killed the Swiss watch industry in the 1980s. When a charge is applied to a quartz crystal, it resonates because it's a piezeoelectric material. In a watch, that charge comes from a small battery. The quartz crystal is typically shaped like a tuning fork to vibrate at a very specific frequency. In an analog watch, that frequency is 32,768 Hz. Quartz watches typically gain or lose less than one second of time in a day. Over the course of a year, that doesn't matter if you're adjusting the time for daylight savings anyway. Quartz watches that are certified by the Switch Watch industry's COSC lose less than 25 seconds per year. On the other hand, mechanical watches store energy in a spring, wound automatically or by hand, which feeds its energy into a series of gears. Those gears are responsible for converting energy into movement, with each gear turning one of the watch's hands. Another component, called the escapement, controls the pace at which the spring unwinds. The escapement uses pins, wheels, pivots, teeth, and its own spring to keep time. That this is a complicated system is an understatement. 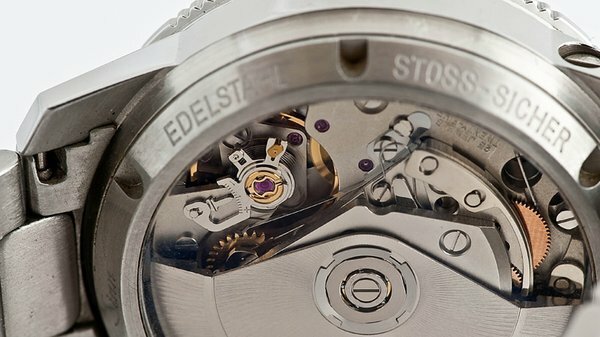 Most mechanical watches have a "power reserve" of about 40 hours and must be regularly wound, while automatic watches are able to convert sudden movement into energy. Again, complicated stuff. Mechanical watches--which are vastly more complex and labor-intensive to produce and maintain than quartz watches--often gain or lose up to three seconds per day. 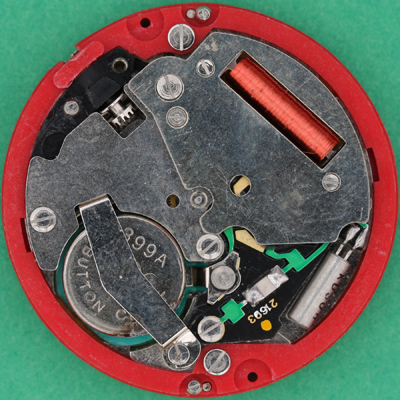 A mechanical watch movement. Photo credit: Flickr user Robert Müller via Creative Commons. In less than two weeks, a COSC-certified watch will have strayed more than a quartz watch will in an entire year. That's what 99.996% accuracy will get you. Why, then, do collectors prefer mechanical watches? There's no single answer to that, so you can take your pick: there's beauty and artistry in imperfection, there's tradition in the history of mechanical watchmaking, there's fascinating engineering at work in every mechanical watch. "A mechanical watch is an anachronism, it is the ultimate refinement of 'low' technology; collectively they are an obsession shared by the enthusiasts on TimeZone." TimeZone and its forums herd together articles, FAQs, watches for sale and trade, and a forum community containing around 100,000 users. Much like the Watchuseek boards, individual brands get their own forums where loyal followers of Rolex or Seiko can share photographs and praise of watches old and new. Posts are, predictably, dominated by images, and short replies are commonplace. Beautiful. Lovely. Thanks for posting. Congratulations. Buying a mechanical watch can be simple if you want it to be. Find a style you like and buy it. Alternatively, you could spend a little time learning what different watchmakers are known for and understanding why mechanical watches can vary so dramatically in price. 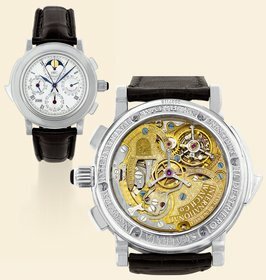 Consider a mechanical watch's "movement," or the mechanism within its case, the counterpart to its face. Watch faces share common elements, like hands and hour markings, but can still be distinctive. Movements are the same. The components fulfill the same roles, but the composition of a movement varies from watch to watch. Most mechanical movements use jewels--aka synthetic rubies--as bearings to keep wheels and other moving parts from grinding away through constant wear. Some watchmakers inflate the number of jewels in their watches for advertising purposes, while others use more jewels in secondary mechanics. For example, the IWC Il Destriero Scafusia Grand Complication contains 76 jewels, a chronograph (a stopwatch, basically), a perpetual calendar, and a moonphase calendar. It cost more than $200,000 when it was released in 1993, and more complicated wristwatches have been developed since. Jewels add to the price of a watch. Adjusting a movement adds to the price. Because watch parts are so small, its position (on your wrist, say, versus flat on a table) at any given moment ever so slightly affects the way it keeps time. Some watches are adjusted to multiple positions to smooth out variations in timekeeping. That adds to the price. And, above all, finishing adds to the price. Custom tweaking, polishing, and decorating of each minute part is expensive but crucial. Like everything else to do with mechanical watches, it's an intensely complex operation. Okay. Mechanical watches are expensive, awesome, unique. How do you buy one with no watch experience and a small budget? Look in the right places. And find a sale. Watchuseek has a forum dedicated to "affordable" watches which contains a mix of mechanical and quartz watches. It's a broad category, but there are some gorgeous mechanical watches listed in the forum that cost less than $1000. Private sellers on Watchuseek and TimeZone's Sales Corner are great resources for finding used watches in the hundreds and sub-$5000 range. Chronoshark lists daily deals on new watches. A Seiko Diver's watch, like this one, can be found online for about $500. Photo credit: Flickr user Shane Lin via Creative Commons. Some brands dip as low as double digits and as high as six figures when sold new. 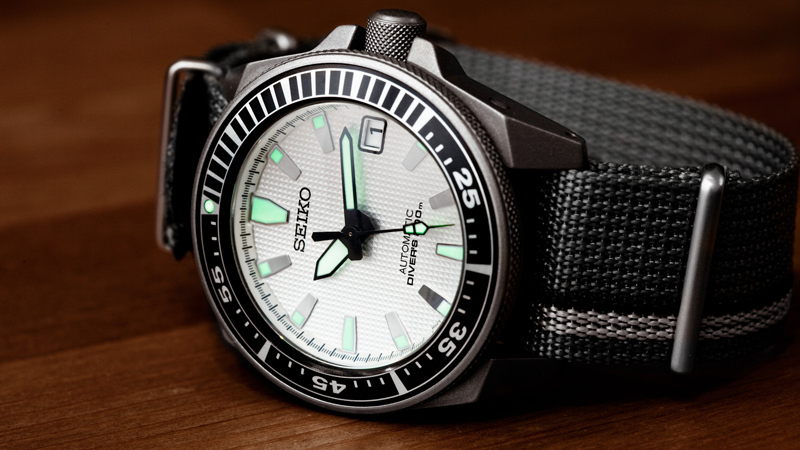 Japanese watchmaker Seiko, for example, is a legendary brand that sells automatic mechanical watches for under $100. You're not going to find a Rolex--even used--near that price. Invicta is another that sells affordable automatic watches. Hand-wind watches are harder to find at low prices, and if you spend any time on a watch forum, you'll see tons of watches from brands like Omega, IWC, Breguet and Breitling that are about a mile away from "affordable." The appreciation of watch fanatics becomes addictive the more you browse, and finding that perfect watch only comes from exploring what's out there. Forum NeoGAF's wristwatches thread is chock full of close-ups of cheap quartz watches and expensive mechanicals. Blogs like A Blog to Read, Fratellowatches and Hodinkee cover watches new and old. Be warned: it's easy to dip your toes into the world of mechanical watches and end up waist-deep before you know it.